Biography: Drawing from 30 years of experience working with other ministries, his own vision for ministry, and with the help of six longtime friends, Charles and Betty began Adonai Ministries International in 2009. Adonai pursues development for a whole person, including both the spiritual and physical well-being of God's people. They conduct revivals, seminars, retreats, church leadership training sessions and do church plantings, while they start schools to educate children and adults, write proposals for Income Generating Activities (IGAs) for the vulnerable and hold health and environmental self-help projects. Charles tells us, "All this is done with the Gospel touch; to lead people to the knowledge of Jesus Christ as Lord and Savior." These evangelism projects include many areas of Uganda and Kenya. Charles and Betty have a passion to see the Kingdom of God expand and for people to be delivered from sin, demonic oppression, poverty, ignorance and disease. They have a very talented and well educated base of directors who have backgrounds in areas such as consulting, planning, counseling, needs assessment, survey and analysis, leadership training, customer care, retention, evangelism and education. In late 2012 Charles and Betty will be launching their own church which will be named Bugiri Christian Revival Church, also known as BCRC. Their focus will be on evangelism, leadership training prayer and worship. They will also emphasize social service provision to the community as a method of evangelization. Strengths: Charles and Betty have an obvious heart for the people of Africa. Charles has an extensive education with Bachelors and Masters degrees in many fields. Betty has a background in finances and management. 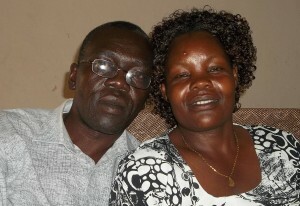 Charles and Betty also have 4 adult children, James, Judith, Oscar and Barasa Paul.